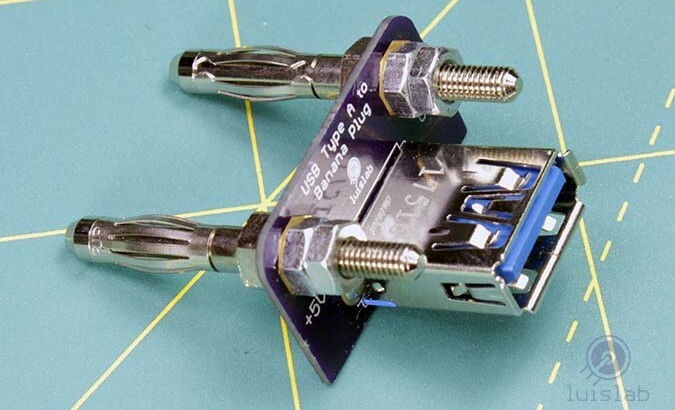 2 layer board of 1.10 x 0.60 inches (28.0 x 15.3 mm). 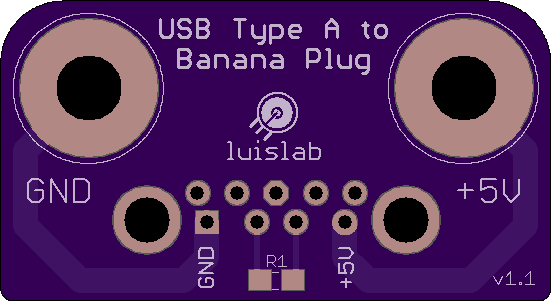 Uploaded: July 12th, 2018 08:46. 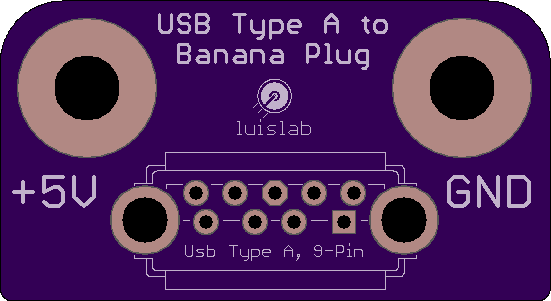 For more information, please visit the Double-banana plug to USB Type A adapter page.